This edition of Business Planet travels to Edinburgh in Scotland to discover a Enterprise Europe Network success story. The EEN is an organization that helps small and medium-sized companies develop. Jane Watters is from Scottish Enterprise, and is in charge of Enterprise Europe Network here. One company right here in Scotland has taken off with that extra EEN boost. The waters around the Shetland Islands are never still, and are a potentially huge energy source. Edinburgh-based Nova Innovation is a small company producing tidal energy turbines. Nova’s cutting-edge devices successfully generate clean energy from the natural cycle of sea tides. The EEN’s enhanced networking capabilities and focused knowledge of available EU funds helped this Scottish SME to conquer a significant share of the renewable resources market. Nova is a finalist at this year’s Enterprise Europe Network awards. “Nova Innovation and Ideta, our Belgian partner to deliver the world’s first offshore tidal array, worked well where we brought together complementary skills. They had skills in project delivery and community engagement and Nova in engineering and technical delivery,” says Nova CEO Simon Forrest. Nova Innovation has been able to grow and enter the international market also thanks to the coaching of the Enterprise Europe Network. Its ties with other European stakeholders facilitated Novas’ access to EU funding. This helped Nova to capture a bigger market, allowing it to scale up for exports. Sales to Canada are already on the horizon. The problem remains about how investors can be confident about their investments. Here the EEN provides a certain guarantee. “We work with investment-focused colleagues and also coaches who supplement and complement the services that Enterprise Europe Network can provide in helping companies to build up a stronger investment case, a pitch, and also support documentation,” says Watters. Jane’s single biggest tip? Do the paperwork, and see the process through. You can find further information on the Business Planet website and on euronews’ social networks. · Connecting to the right business partners, markets and finance is key to expanding a business. 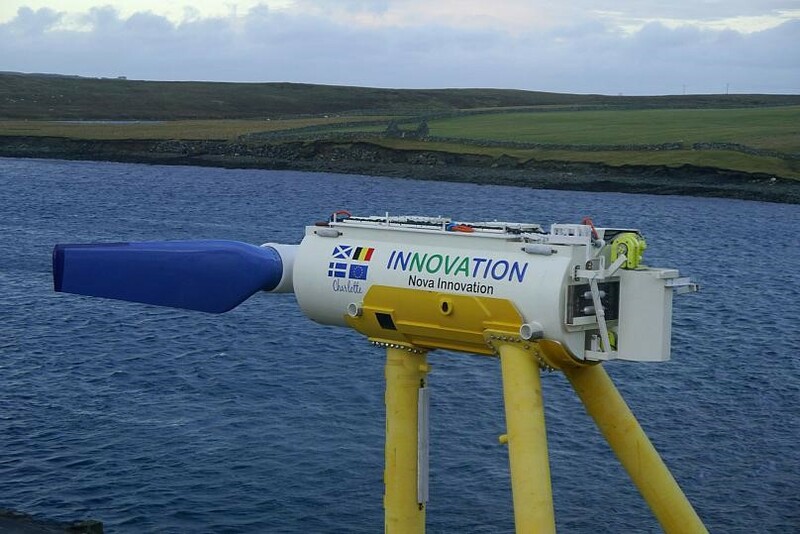 · Scottish SME Nova Innovation is a leader in the tidal energy sector. They design, build and operate tidal energy devices, including tidal turbines. · To access more capital and enter new markets, Nova Innovation received tailored support from the Enterprise Europe Network. · The Network helped Nova Innovation to connect with a Belgian renewables investment company ELSA Energy. This partnership resulted in additional investment and helped the company get support under the Horizon 2020 SME Instrument, the EU programme for inovative small businesses with high growth potential. · Thanks to the Network, Nova Innovation is now receiving additional EU funding through other innovation projects, all of which are helping to further reduce the cost of its technology. · In addition, the company was supported by the Network with a number of key account management services, such as coaching on investment strategies and organisational changes in the company while scaling up, along with different business models.